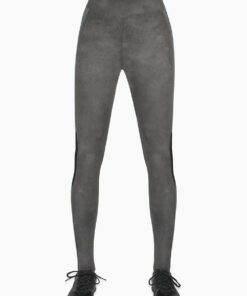 Pick of the season. 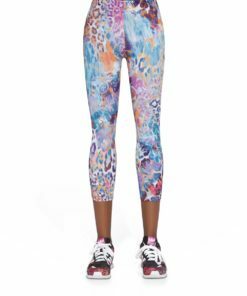 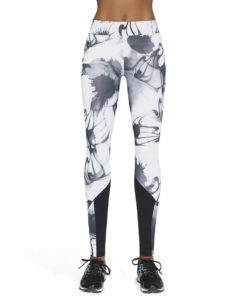 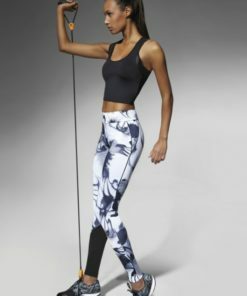 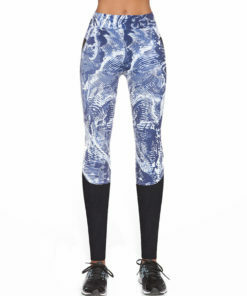 Super comfortable and flattering sports legging from studio to street. 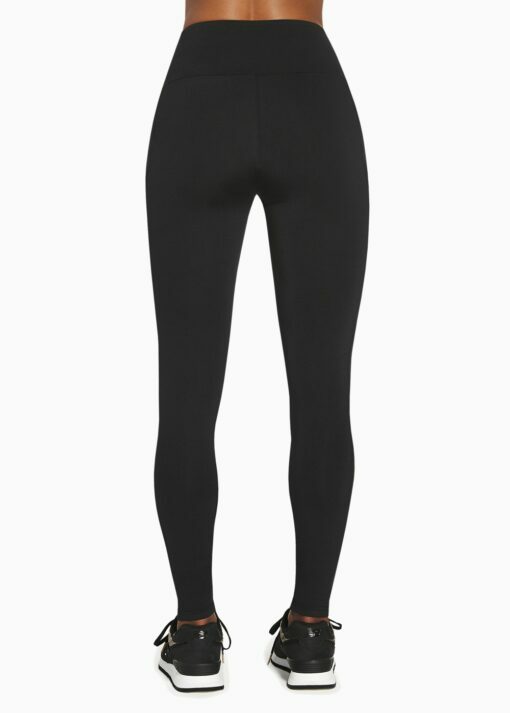 High waist full length legging with broad waist band. 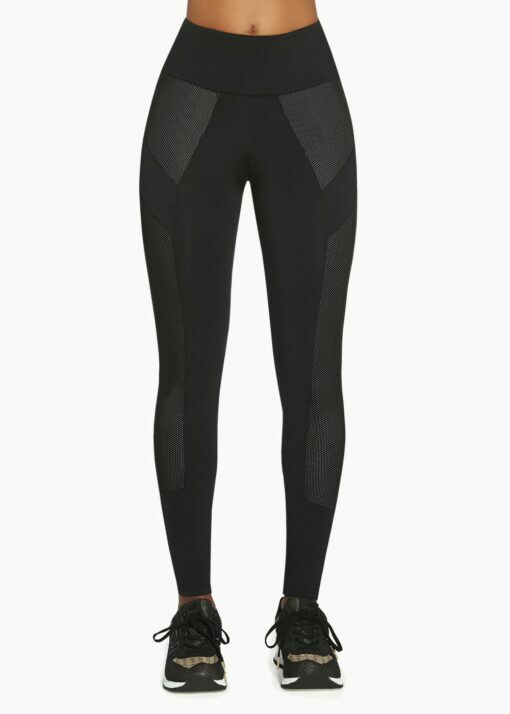 Black with black mesh inserts over ecru base layer. 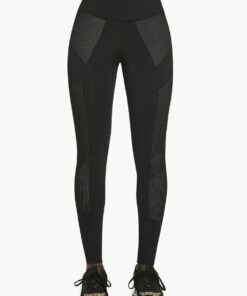 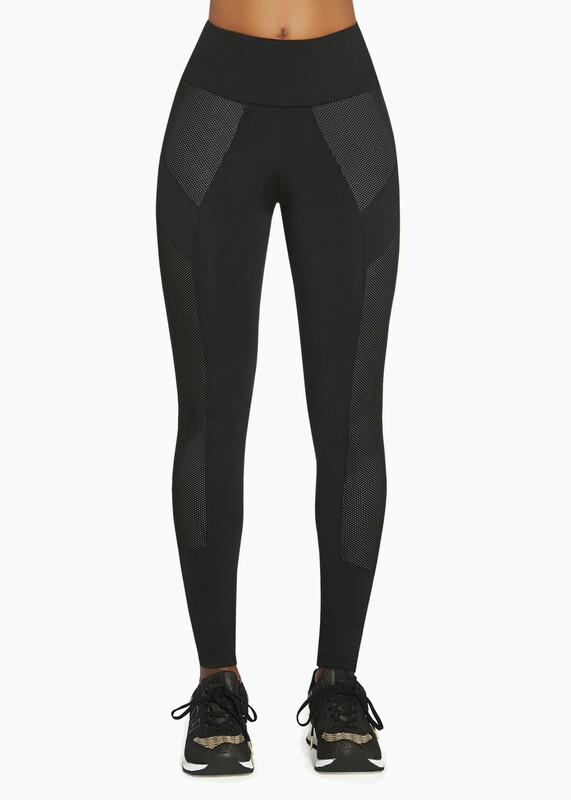 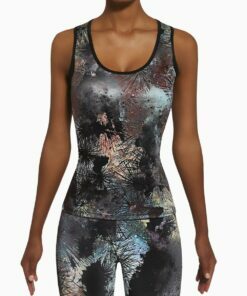 A flattering legging made from fully covering, elastic, and body modelling fabric.